In the Olivet Discourse, Christ answers His disciples’ questions about the future. 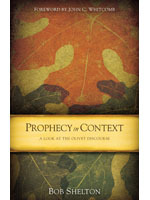 Prophecy in Context offers a fresh perspective on this often misinterpreted portion of Scripture. Bob Shelton addresses each verse in its context, surveying topics such as the timing of the Rapture and what the ten virgins represent. 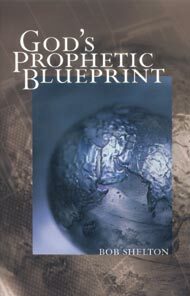 This easy-to-read look at the Olivet Discourse clears the confusion surrounding Christ’s prophetic words. It takes an open door, a call, and a willing heart for a fruitful ministry to be born. These all came to a young man named Bob Shelton, whose ministry took him to Taiwan, the Pescadore Islands, Okinawa, and Viet Nam to minister to hundreds of thousands of Asians throughout the 1950s. 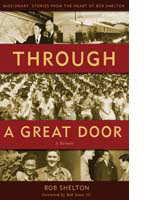 Through a Great Door tells of the remarkable work of the Lord that Shelton witnessed and the grace he and his companions received to overcome every trial that accompanied them. Young and old will enjoy Shelton’s vivid testimony of the fact that in any circumstance of life God is enough.